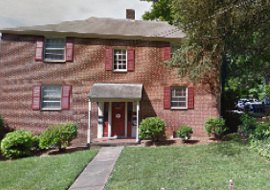 From the outside, West First St. Apartments appears to be a lovely single-family West End brick home. Inside are five spacious one-bedroom apartments. So if you are looking for a house without all the upkeep, West First Street is perfect for you. There are covered parking spaces and common backyard. Not to mention, your apartment is just moments away from Winston-Salem’s best shopping and dining. Please call us at 336-480-2330 or email us to schedule a tour.